Located the central eastern coast of China, Hangzhou is the capital city of Zhejiang province. It is among the 7 most ancient cities in the country and continues to pride itself on a compliment that never expires: when the great Italian explorer Marco Polo visited in the 13th century, he declared Hangzhou the "most beautiful and elegant city in the world." The natural beauty of Hangzhou is unmatched even within China, making it one of the most popular destinations for domestic and international travelers both. 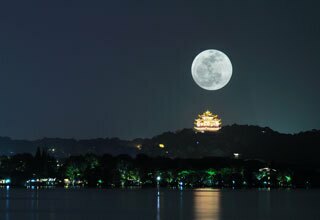 The West Lake and the cultural relics that populate the area such as reflecting pools, decadent temples, and classical Chinese gardens make it the star highlight of Hangzhou. Dating back more than 2,200 years, the city is almost as old as human civilization itself. It was the capital of the Wu and Yue states in the 10th century for 5 dynasties. It wasn’t until the Tang Dynasty that Hangzhou really flourished, coming to a peak in the Song Dynasty when it became the capital of a united China. Throughout the more recent Ming and Qing Dynasties, the city experienced rapid commercial growth and expansion. 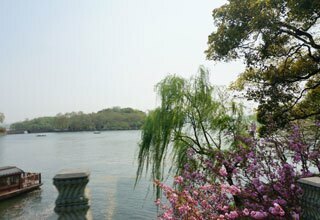 As a tourism site, Hangzhou is most beloved for the beauties resulting from the immense West Lake. There are also numerous historical sites nearby, accompanied by the influence of silk and tea culture. 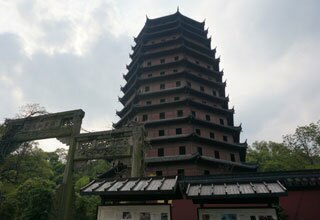 Altogether, Hangzhou and the West Lake offer visitors a very complete natural and historical experience in China. Of course, with traveling to new and exciting places, comes the taste of the real culture, literally! 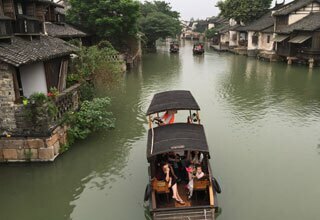 Whether you are looking for a formal dinning experience or a quick, local street snack, Hangzhou is sure to have exactly what you are in the mood for. Hangzhou cuisine consists of several dishes that have been passed from generation to generation for hundreds, if not thousands, of years. Dishes such as the West Lake Fish, Braised Dongpo Pork, Fried Shrimps with Longjing Tea Leaves and Beggar&apos;s Chicken are an important link to the past for residents and tourists alike. West Lake Fish in Sweet and Sour Sauce is a delectable treat for those unfamiliar with the local Hungzhou cuisine. The fresh water fish, usually a grass carp from the nearby waters, is poached and smothered with a sweet and pungent sauce, traditionally made with sugar and vinegar. A different seafood dish is also popular in the city. Fried Shrimps with local Longjing Tea Leaves is said to have originated in the Imperial Palace. The dish is fragrant with mixtures of the fresh Longjing tea leaves and shellfish. It results in a unique, very palatable combination that has been one of Hangzhou’s best dishes for hundreds of years. You might have come to Hangzhou for the views, but you just might stay for the shopping opportunities! The local markets are lively places to feel and taste the local flavor (figuratively and literally!). Hangzhou China Silk Town on Tiyuchang Road has hundreds of stalls selling varieties of products made from one of the country’s most famous exports: silk. From ties to pajamas to handcrafts to fine decorative tapestries, there is something for everyone in the silk market. Another popular place is the night market near Wushan. It is most exciting in the nighttime with hundreds of shops and stalls offering everything you can imagine: Chairman Mao memorabilia, jewelry, toys, artisanal goods, home products, clothes, and much more. 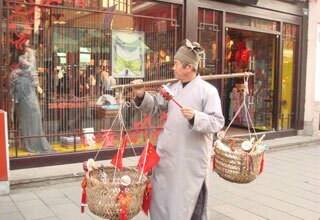 Bargaining is part of the culture in Hangzhou’s markets so don’t be afraid to put your negotiating strategies to use! The weather in Hangzhou is typically warm or mild throughout the year. There is much sunshine and also rain. 4 seasons are enjoyed here, as well as 2 rainy seasons: one in late June until early July, and the other in August and September. 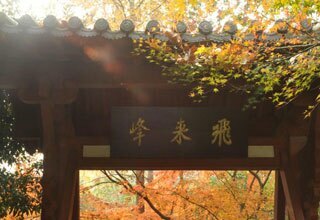 Summers are hot and humid while autumns are cool and clear and is considered to be the best time to visit Hangzhou. As most major cities in China are, Hangzhou is well serviced and accessed in terms of transportation. It is just a short flight from Shanghai and also has daily flights between most major cities in the country such as Hong Kong and Beijing and even Singapore. Xiaoshan International Airport is Hangzhou’s main airport, about 27 kilometers from the center of the city. High speed trains are among the best ways to between Hangzhou and Shanghai, Beijing, Chengdu, and beyond. Connections in these larger cities may be necessary. The most frequent are between Hangzhou and Shanghai; take the CRH train (train numbers starting with G) about 50 minutes. From Suzhou, the train journey is about 1.5 hours on the high speed G / bullet train. There are 16 trains daily between the 2-1.5 cities with some arriving into Hangzhou Railway Station and the rest into Hangzhou South Railway Station. From Shanghai, trains depart from Shanghai Hongqiao Station and Shanghai South Station. The journey to Hangzhou is about 1 hour. From Nanjing, take a train from Nanjing South Station or simply Nanjing Station to Hangzhou or Hangzhou South Station. Depending on the category of train, the journey can be about 2.5-3 hours up to 6-7 hours. To travel outside of Hangzhou by bus, access one of the 4 main terminals: North, East (also known as Jiubao on Shengjia Road), West, and South. There you will find vehicles to take you to almost anywhere you wish in China! Those going to Nanjing and Shanghai are most plentiful. You can also take a bus to both Shanghai Pudong International Airport and Xiaoshan International. From Shanghai, buses depart from the north bus station (Hengfen Lu), the PuDong bus station (Bailianjing, PuDong Nan Lu), and from Xujiahui Bus Station. Most arrive at Hangzhou East bus station and the journey is about 2 1/2 hours. From Huangshan, it is about 3 hours by bus to Hangzhou West Bus Station. Enjoy the highlights in the city of Hangzhou in two days. Both authentic local culture and fascinating landscape are included. Combo of Shanghai, Hangzhou and Wuzhen Water Town, the small golden triangle in South Yangtze River Area. 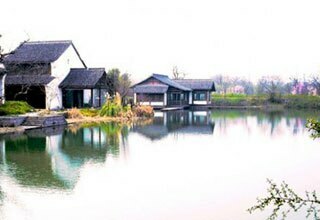 Spend four days in Hangzhou, exploring almost every renowned tourist attraction in the ancient city.